Durable Wiley X Spear Prescription Sunglasses are totally unique. Computer generated sun glass eyewear designs enhance comfort for the optimal fit in sunglasses. Wiley X Spear Prescription Sunglasses are perfect sun eyewear for motorcycle riding or recreational activities. 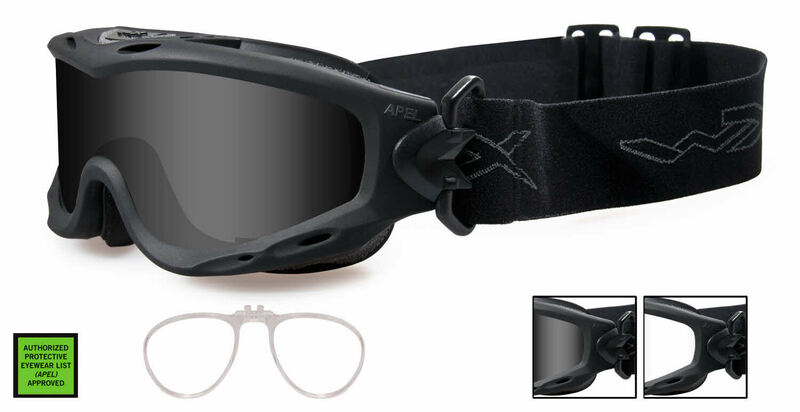 Wiley X Spear is a Full Rim frame for Men and Women, which is made of Plastic. These Wiley X Spear RXSunglasses flatter people with the following facial features: Wide Head, Thin Face. Wiley X Spear RXSunglasses come with a cleaning cloth and protective carrying case.